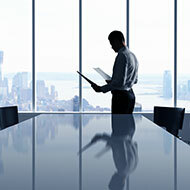 The use of window safety and security laminate is increasing as security managers understand how effective it can be against forced entry and blast mitigation. 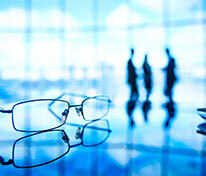 There are a number of important factors in selecting the right solution for your specific requirements. The selection of the best window film solution for your property depends on the type and location of glass and the level of security required. 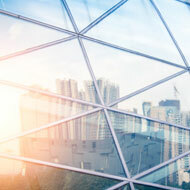 Solutions are typically categorized as to the level of protection they provide, as per the accepted Loss Control Standards of the Insurance Industry. For glass doors and sidelights, the primary purpose of the laminate is to help prevent an intruder from accessing the door locks. 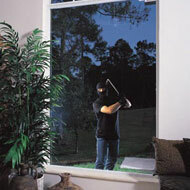 Optimal protection is achieved by applying either 3M Ultra S800 or 3M Safeguard S140 on the inside surface of the glass. The bonding (3M Impact Protection Adhesive System) is also a must, as tempered glass will simply break away along the edge when damaged. 3M exterior laminate can be applied for additional protection.  For all other non-tempered windows, 3M Ultra S800 Window Film, provides the highest tear resistance of any other product. When it is applied to the interior surface and bonded to the frame with the 3M IPA Attachment System, it makes entry extremely difficult. If a lower level of protection is acceptable, thinner basic 3M polyester films can be installed. 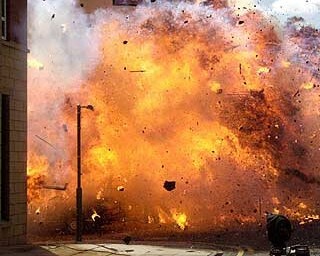 As unpleasant as it might be to consider, the threat of bomb blasts in this world are very real. 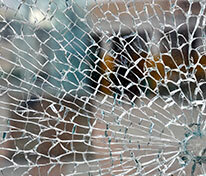 Like natural disasters, a bomb blast also turns unprotected glass into dangerous flying shards. The most important attributes of laminate for blast mitigation are tear resistance and flexibility. When a blast occurs, glass shards may penetrate the laminate, so its ability to resist tearing dictates how effectively it will protect occupants from hazardous fragments. 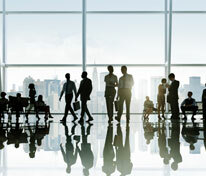 Recognizing the special technical requirements relating to blast mitigation, 3M developed patented micro-layer series window security laminates. Ultra S800, when combined with the 3M Impact Protection Attachment System, has set the standard for blast mitigation in Canada by providing maximum life safety. Unlike basic polyester offered by 3M and other manufacturers primarily for protection against break and enter, the thinner and more elastic Ultra series laminates are able to expand to absorb a blast and achieve the highest performance ratings in blast tests. 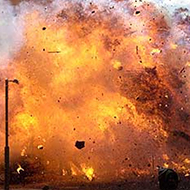 3M Safety and Security Window films have proven themselves in real-world situations to have seriously mitigated the damage from bomb blasts to help protect lives. 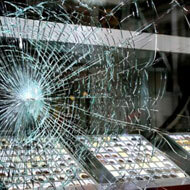 The 3M Impact Protection Attachment System, ensures that the glass stays in the frame in the event of an explosion. 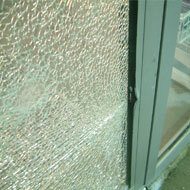 When installations do not utilize a bonding system, there is an increased risk of the entire pane becoming detached from the frame and entering the building. The alternative of standard polyester laminates of a thickness less than 14 mil and laminate installed without the specified 3/8” bead of 3M Impact Protection Adhesive may not offer the appropriate level of protection should a blast occur, especially when in close proximity to your building. On some projects in the US, a bar across the middle of the window has been installed to ‘catch’ the glass in the event that it leaves the frame. This option is both unsightly and expensive and has not been utilized on installations in Canada. Fastening aluminum angle around the perimeter of the frame has also been used to ‘anchor’ the laminate, but again this is unsightly and has not proved to be more effective than the 3M Impact Protection Attachment System. With regards to ballistic protection, security laminate installed on standard commercial insulated windows does not provide an adequate safeguard against penetration of projectiles from commonly used firearms and, in fact, creates a false sense of security for those who think it does. Prelco, a leading Canadian manufacturer of bullet resistant glazing, recommends no less than 11/16” thick glazing consisting of 4 layers polyvinyl butyral sandwiched between 4 layers of glass and one layer of polycarbonate to meet the minimum UL752 Level 1 for 9mm handguns. This is not consistent with claims by some suppliers that a 14 mil laminate applied to the inside surface of a standard commercial thermal pane window will provide real protection. Any material will provide some ‘resistance’ to penetration, but all the major manufacturers, including 3M, have clearly stated that no security laminates should be considered if ballistics is a serious concern based on the Threat Risk Assessment. No matter what independent test results may have been conducted by suppliers, it is a fact that all similar thicknesses of polyester laminate offer essentially the same ballistic protection, which is minimal on standard commercial units and even ½” thick glass. There are two primary variables related to laminate construction – overall thickness and number of layers. Typically, the thicker the laminate, the higher the break strength, and the more layers in the laminate, the higher the tear strength. Standard polyester laminates range in thickness from 4mil to 21mil and from 1 to 4 layers. The newer technology laminates, such as the patented 3M Ultra Series, have micro-layers which offer at least 7 times the tear resistance of the equivalent thickness of the basic polyester laminates. To minimize degradation of this protection over time, all safety and security laminates are also protected by a UV inhibitor as well as an abrasion resistant coating to resist scratching. For customers who would like to also reduce the solar heat or glare, Security/Solar Combination films are also available. 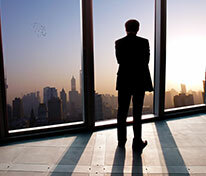 What is the difference in options for security window films?